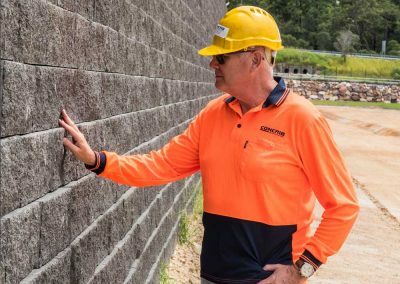 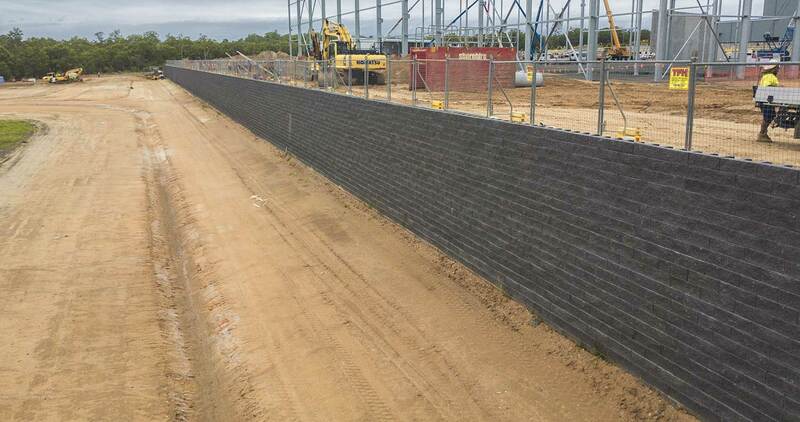 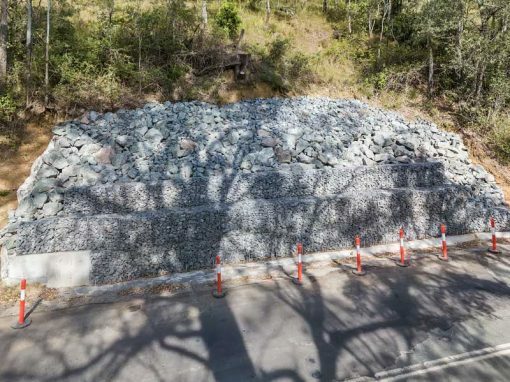 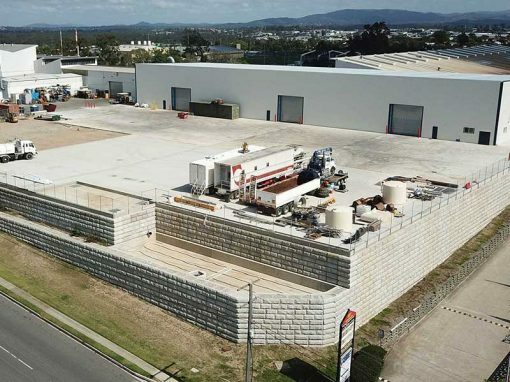 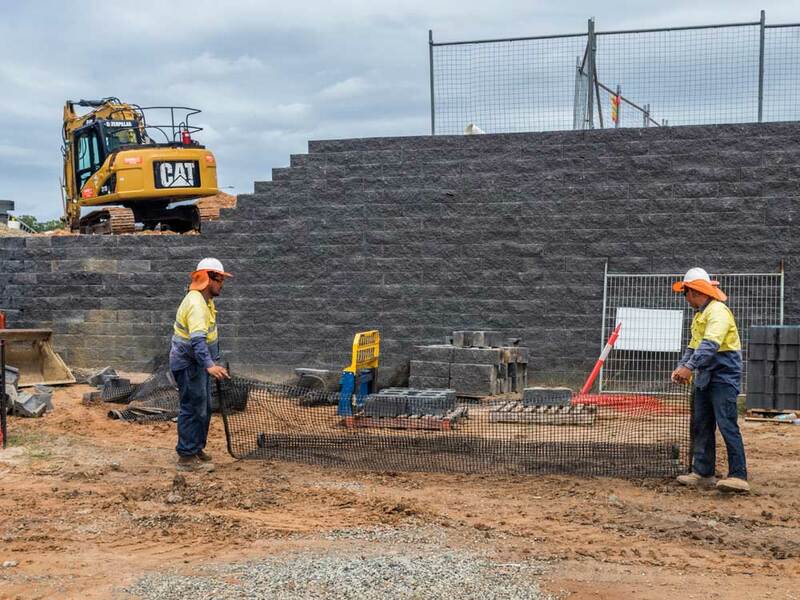 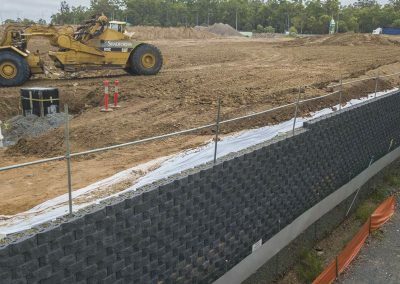 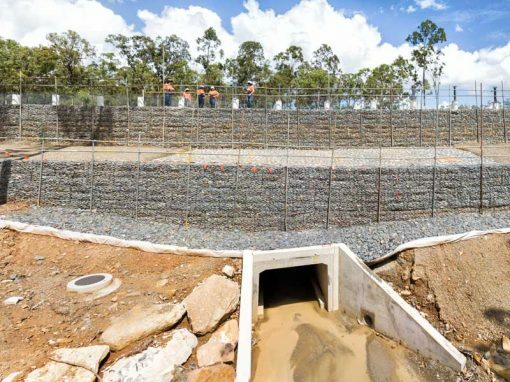 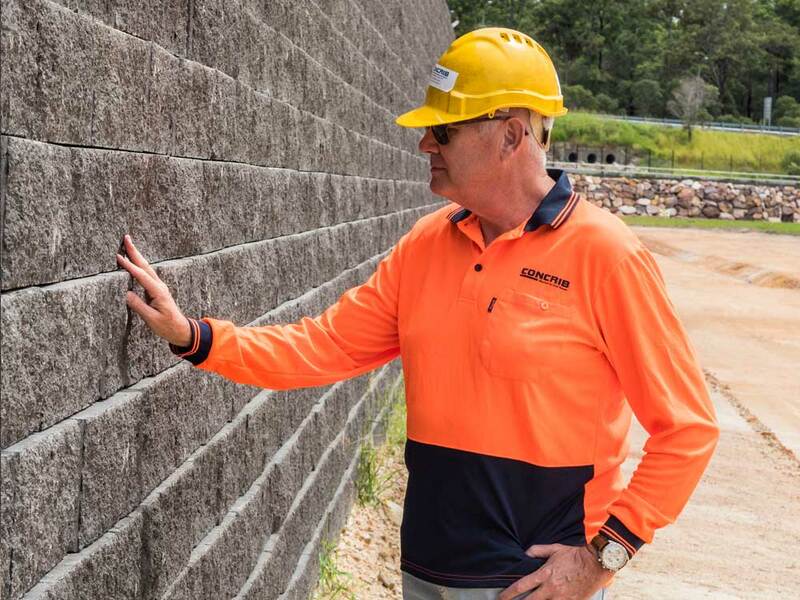 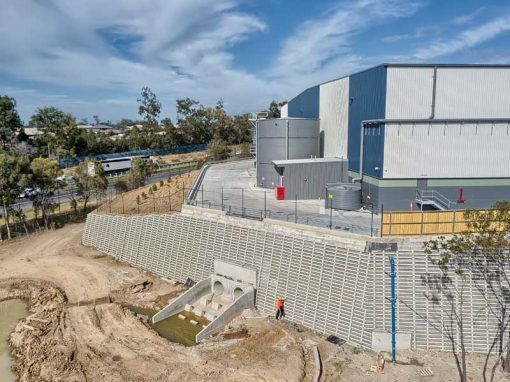 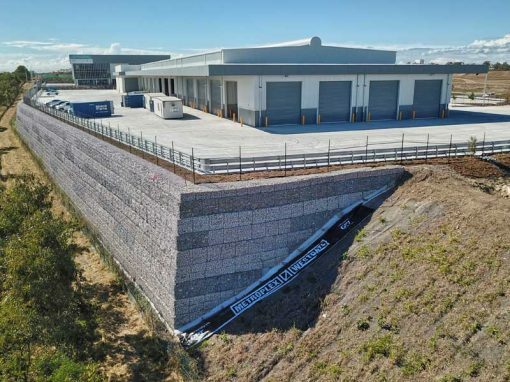 Concrib Pty Ltd is a Brisbane based engineering company that designs & installs a range of specialised earth stabilisation systems and engineered retaining walls including crib walls, sleeper retainer walls, segmental block walls and gabions. 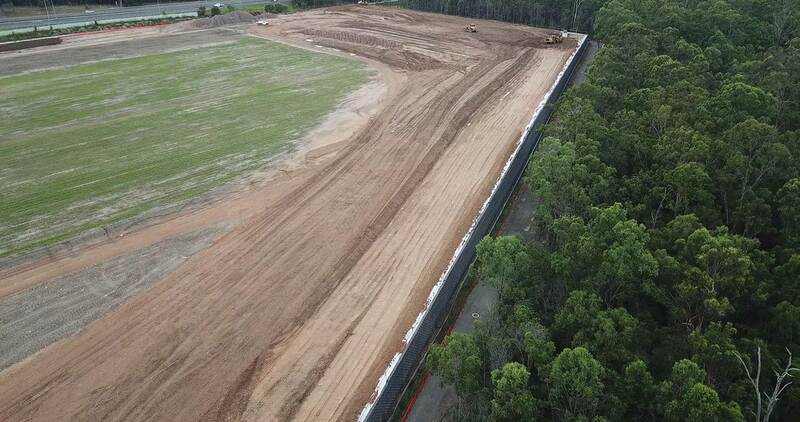 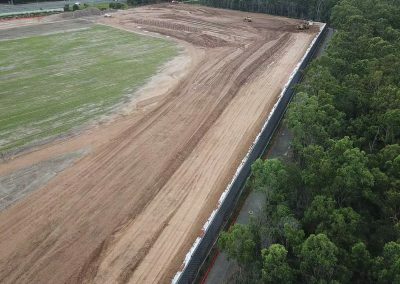 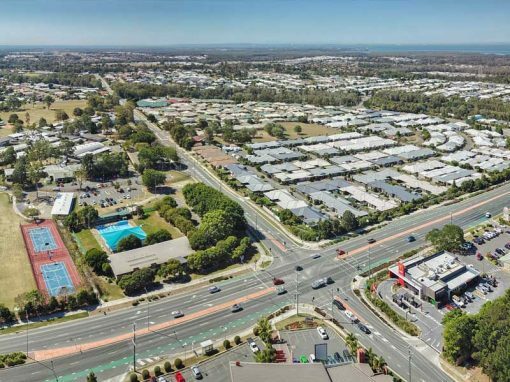 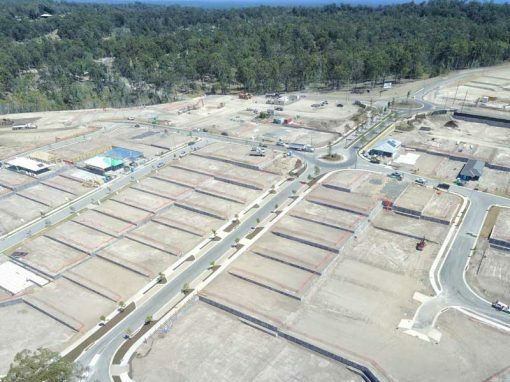 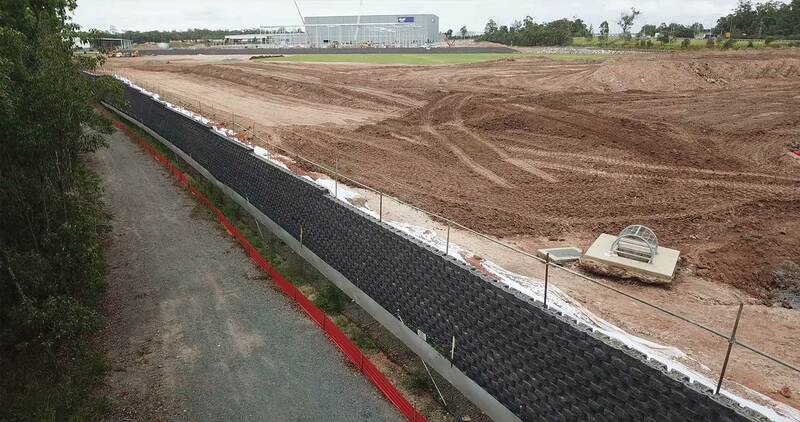 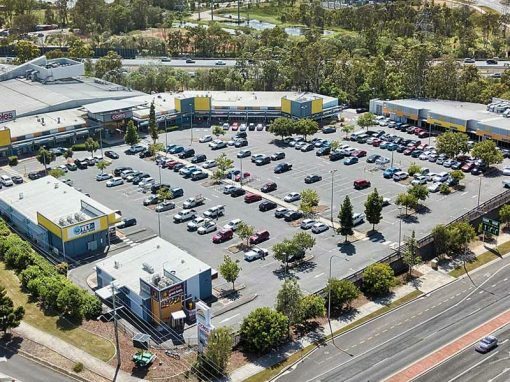 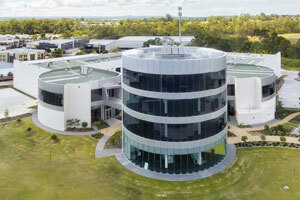 DroneAce was hired to capture aerial video and photography of a segmental wall at a new industrial land development at Seeana Place, Heathwood, Brisbane. 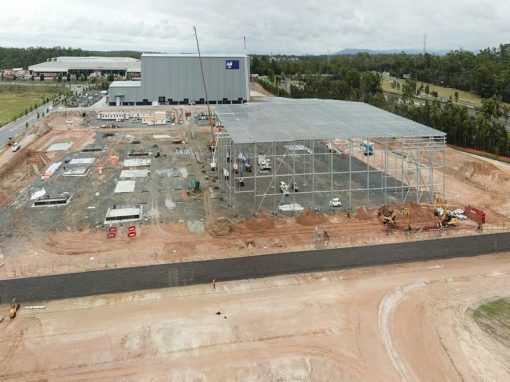 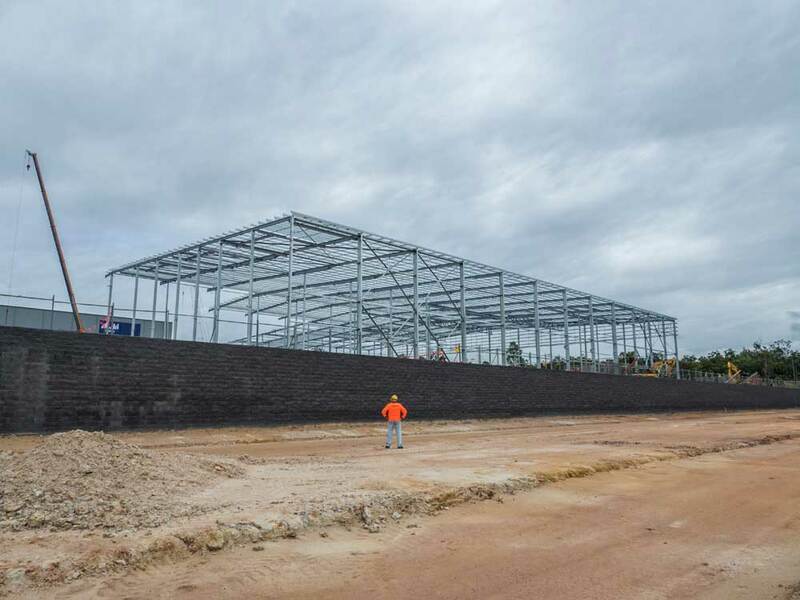 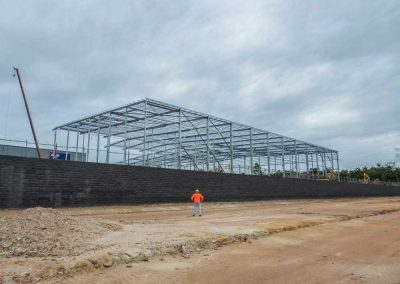 Designed and constructed by Concrib Pty Ltd using earth reinforced segmental walls, the goal was to use a drone to capture the immense scale of the walls and the corresponding surface area made suitable for an industrial warehouse. 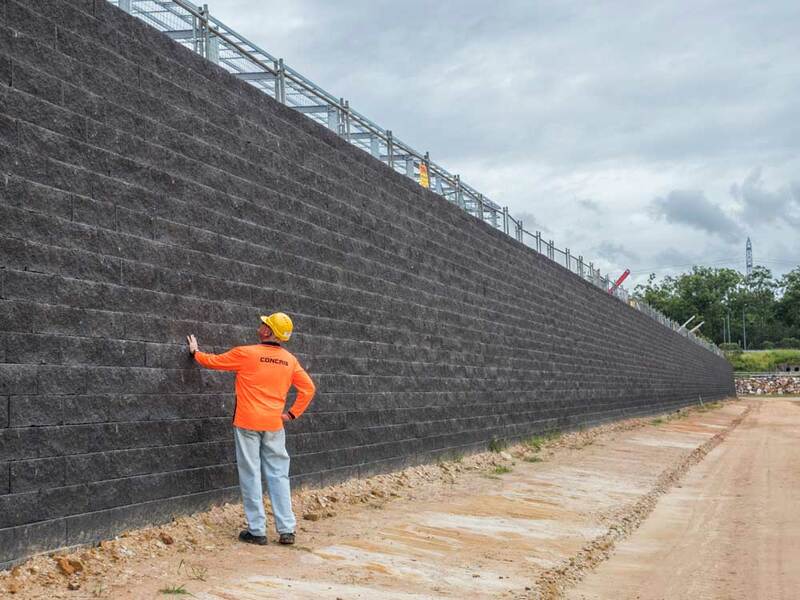 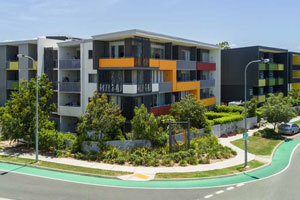 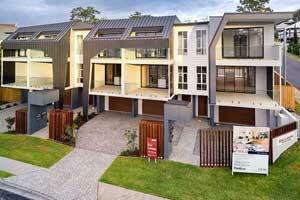 Segmental walls are made up of modular pre-cast concrete block that interlock with each other. 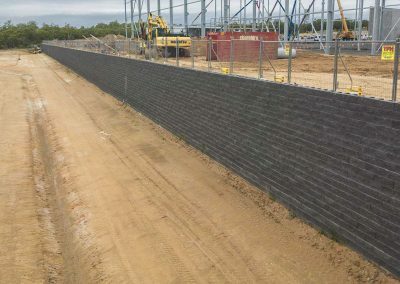 The advantage of these walls types is the ability to extend the height using geogrid reinforcing. 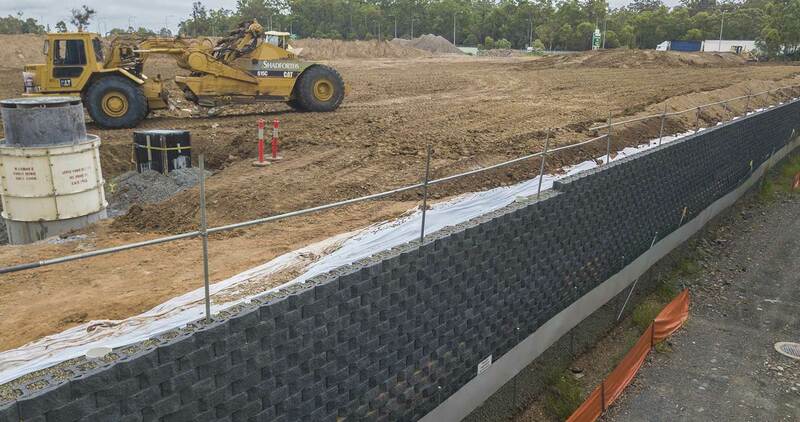 Geogrid is a polymer mesh and is usually sandwiched between the block courses of the wall face. 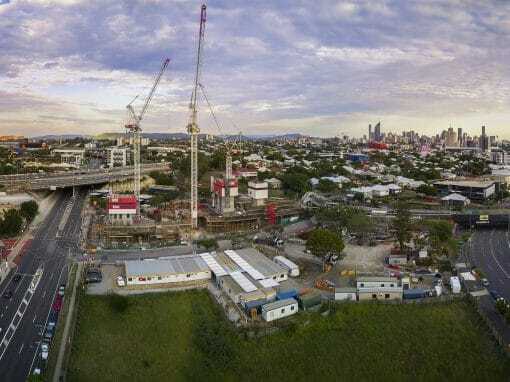 The benefit of using a drone was the rapid and flexible capture platform it provided allowing DroneAce to capture multiple aerial photographs from heights ranging from 15 metres to 50 metres above the ground and all from a single, safe location. 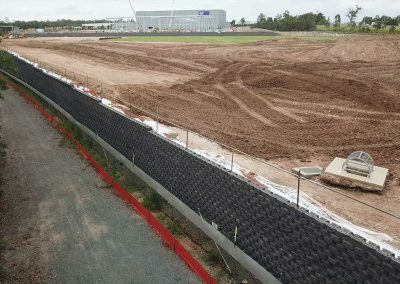 While on-site, we also captured a range of ground based photographs specifically from eye level with a human nearby as a reference for scale. 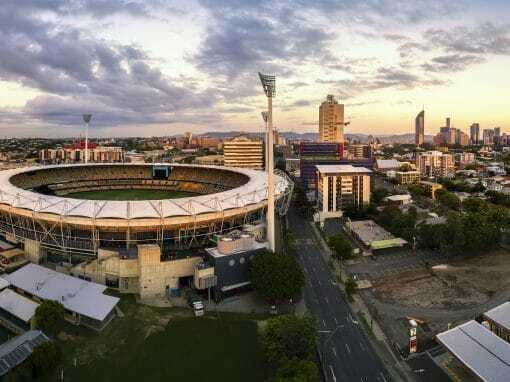 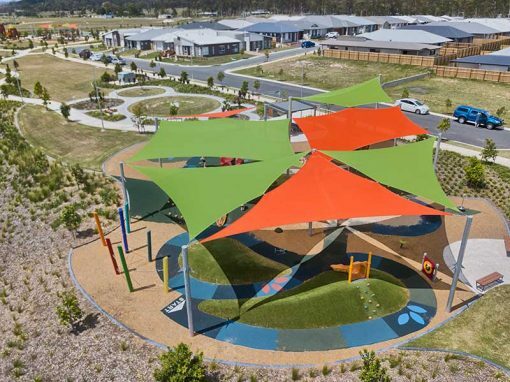 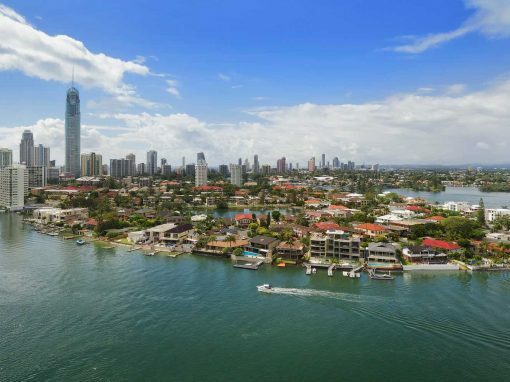 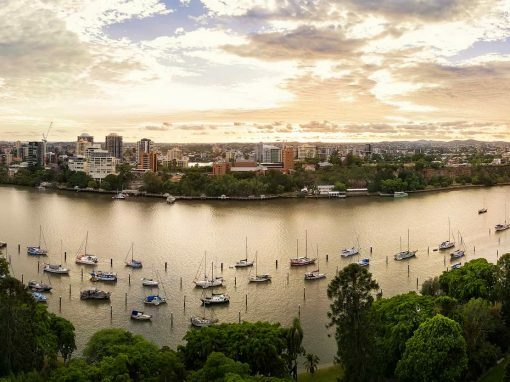 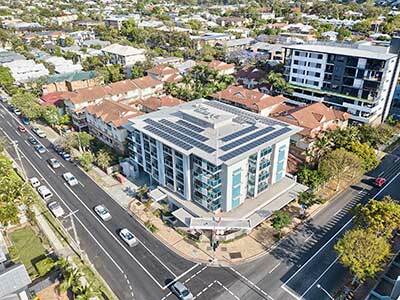 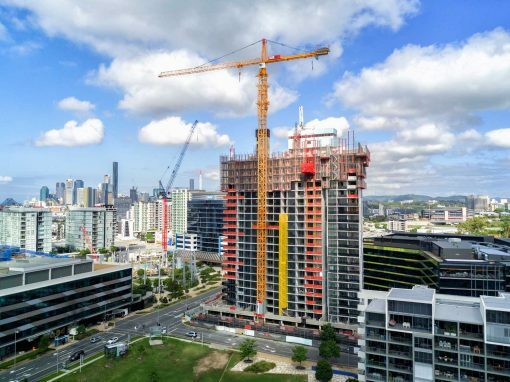 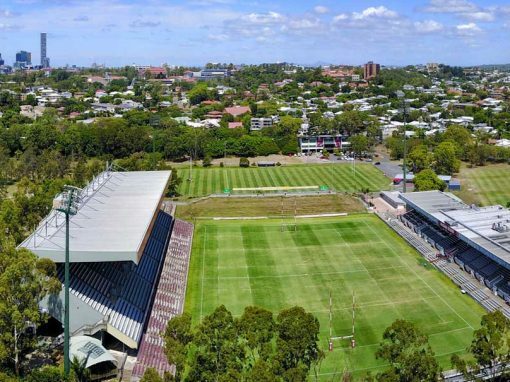 If you work in the AEC (architecture, engineering and construction) industries and need aerial drone photography to capture your next project, please call Phil (DroneAce operator) on 0404 840 001. 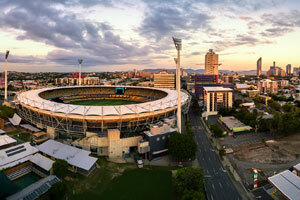 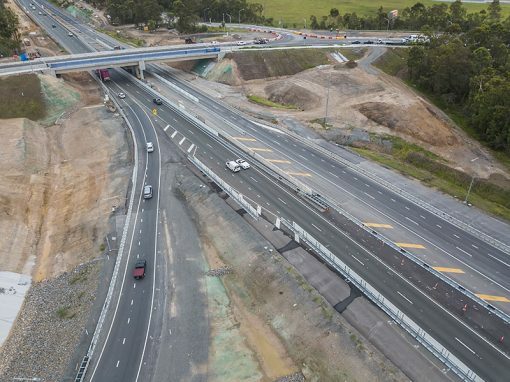 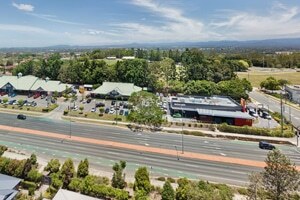 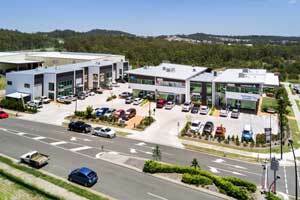 We have aerial photographed similar construction projects such as the HS Roads Logan Motorway Enhancement Project. 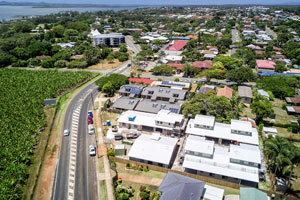 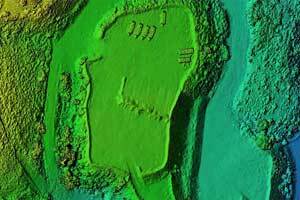 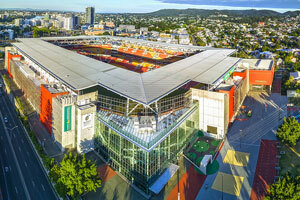 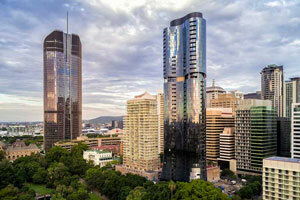 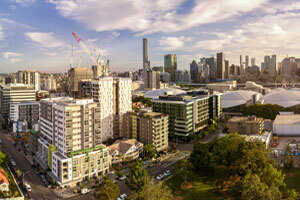 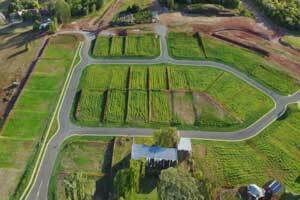 More examples of our aerial photographs are viewable in the Drone Photography Gallery. 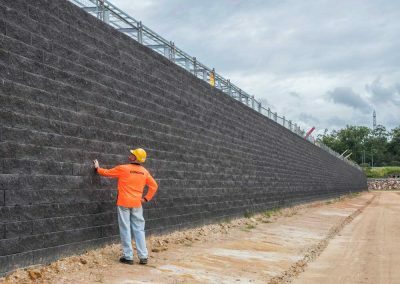 DroneAce captured the scale of the segmental walls using a combination of panorama techniques and single frame exposures.